Flip a coin. If heads, MissingNo. Hacks your device leaving the player to an unsaved file. Flip a coin. If heads, MissingNo. 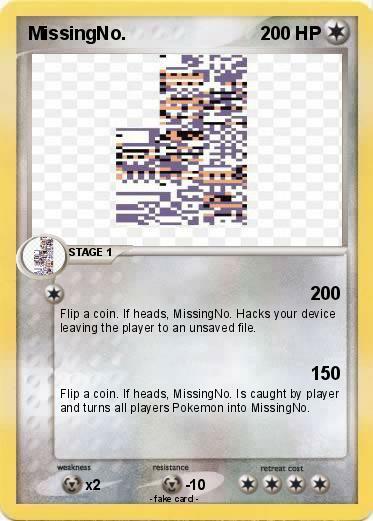 Is caught by player and turns all players Pokemon into MissingNo.